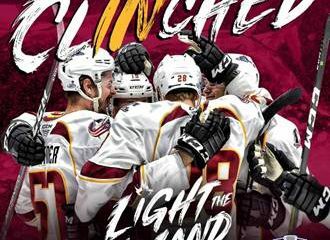 The AHL’s defending Calder Cup Champions, the Cleveland Monsters, announced Monday that the Columbus Blue Jackets named three-time Stanley Cup Champion John Madden as head coach of the Monsters prior to the team’s 2016-17 10th Anniversary Season. 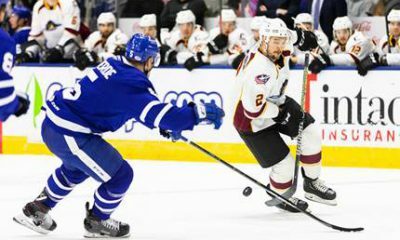 Madden replaces former Monsters head coach Jared Bednar, who departed Cleveland last week to become head coach of the NHL’s Colorado Avalanche. Madden will be formally introduced to the Cleveland media at a date to be announced closer to the start of the 2016-17 season. Madden, 43, joins the Monsters following three seasons as an assistant coach with Florida, during which the Toronto, Ontario native helped the Panthers capture an Atlantic Division title in 2015-16 while compiling a franchise-best regular season record of 47-26-9 and earning a club-record 103 points throughout the regular campaign. Madden logged 165 goals, 348 points and 219 penalty minutes, along with a +20 rating, in 898 career appearances for the New Jersey Devils, Chicago Blackhawks, Minnesota Wild and Florida, spanning 13 NHL seasons from 1998 to 2012. The 2000-01 winner of the Frank J. Selke Trophy as the NHL’s top defensive forward, Madden helped the Devils claim the 2000 and 2003 Stanley Cups and won his third Cup in 2010 with Chicago. Prior to his NHL career, Madden logged 58 goals and 154 points in 149 AHL appearances spanning parts of two seasons with the Albany River Rats from 1997 to 1998 and appeared in 160 NCAA games for the University of Michigan from 1993 to 1997, helping the Wolverines capture the 1996 NCAA Championship.